Intelligent Transportation Systems (ITS), the world over, are undergoing changes as their need, use and effectiveness are still finding newer meanings throughout. Though put to optimum use in many cities in the US and Europe, Asian countries are still using them sparingly. India is no different. ITS is being experimented with in India but many a challenge needs to be overcome to make these systems more effective and work efficiently. For as Dr Sudhir Krishna, Secretary, Ministry of Urban Development, has spoken at various fora, till about a decade ago India believed it was important to concentrate on the villages and not adopt the leapfrogging approach in transport infrastructure. An approach that cost us dearly. ITS has turned the roads more interactive, and many government authorities are tracking their public transport vehicles through Global Positioning System (GPS). Signals now change the colour of their lights on their own according to the intensity of the traffic, and intelligent air waves and cameras are leading to an information explosion in the transport world, thereby making the roads, and to quite an extent, rail travel more dynamic. India too is trying its bit to keep pace with the recent offerings of ITS but then, we are, still, a nation in transition. Our old systems are fading away, newer ones are coming in and bridging the gap between the two will take some time to ease out the rough edges. India is trying to arrive on the scene: Seminars are being held, workshops are being conducted, overseas courses are being attended and international technology is being brought in. We are finally trying to adopt Intelligent Transport Systems, henceforth referred to as ITS. But catching up on the time lost will take some time. As Dr Krishna said recently at the fifth Urban Mobility Conference in Delhi, ?The key to India?s growth is planned urbanisation ? people from rural areas must move to cities. We have planned for cities to have multi-modal integration?. 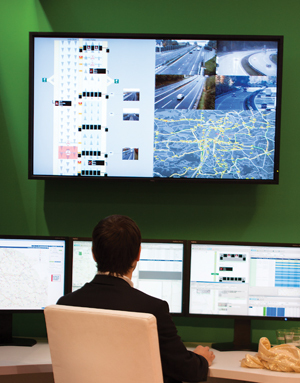 Intelligent Transport Systems, in a nutshell, are systems with advanced IT applications that make transport and travelling intelligent and smart, help in better traffic management, and ensure safety for road or rail or air travellers. ITS help with various modes of transport and enhance coordination among the modes, planners, managers and users. They are extremely helpful for users of road, rail, air or water ? whether they are travellers or transport service providers. The key aspect in ITS is that the system / product / facility thinks itself and, or provides data to the authorities, road or rail users and enforcement agencies to be able to manage traffic better and ensure safety for all. The systems issue alerts to a sleeping driver and guidance to planners and travellers / pedestrians, inform of dark spots on the road ahead, help communicate with passengers in case of emergencies, help plan trips better and with ease, in much less time than before, help park better and contribute towards reducing accidents and fuel emission. There are hundreds of ITS applications available for various needs all over the world and these are only increasing by the day. Though available in all modes of transport, the ITS applications are mainly (not only) associated with surface transport in India. Different countries adopt and customise different ITS applications according to their needs and socio-cultural habits. The most important aspect in ITS is a Control Centre (CC), even called a Traffic Management Centre (TMC) where data is collected, processed and disseminated. This data comes through cameras (CCTVs), Area Traffic Control (ATC) application, and other applications. All associated agencies need to work in tandem in order to make ITS operations successful ? just the service provider, often the government, cannot be the sole party to make it work. We will come to the specific process a little later. Dr R K Pachauri, Director General, The Energy and Resources Institute (TERI) recently suggested at a conference in Delhi that there should be a check on the growing number of cars in Delhi, the nation?s capital, so that a check could be kept on pollution, congestion and accidents in the city. He said, ?The average ownership of cars in Delhi is more than that in Singapore and Hong Kong. While in Delhi, there are 200 cars per 1000 people, it?s only 70-100 per population of 1000 in Hong Kong and Singapore.? So what is important now, since we already have those cars, is putting a method to the madness that prevails on our roads to control the chaos such vast number of vehicles and disciplined / indisciplined road users unleash on the traffic scene. ITS is the perfect answer for this. Why did the need for ITS arise? 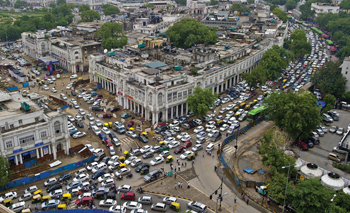 With the rapid growth of vehicle ownership in the last few decades came the problem of acute traffic congestion. With congestion arose the problems of traffic management and road user safety. It is to be noted here that the newer cars rolling onto our roads with good facilities brought with them the disenchantment of travellers with the public transport. So, those who could afford them, moved to private vehicles. The acute pressure to keep the vehicles moving made the enforcement agencies buckle because whether the vehicles on the road are public or private, the movement is the responsibility of the traffic police. And so is the safety of road users. Many developed countries, within the last two decades, had begun using GPS, GPRS, and other systems to guide their travellers. And as the Indian middle class began getting affluent and ambitious, it realised on its trips abroad how safe and easy travel in many European and American cities was. The clamour for better facilities increased, and increase in road and rail accidents didn?t help the situation either. Many private operators saw the potential in providing better facilities in the buses. One among them was Neeta Travels. Its air conditioned Volvo buses began giving stiff competition to government buses on long distance travels. Many other such buses got introduced on our roads in time. Gradually, the government moved. Moved and changed its approach. It began concentrating on better signaling system, it began using some sort of cameras on the roads, it began making use of basic public information system (PIS) on local trains and buses, it began using Variable Message Signs (VMS) in a slightly better manner. Of course, ITS is much, much more than signs and PIS and Signals. We will come to those technologies a little later. But what is to be kept in mind is that ITS needs to be implemented in a strong network system. It will not be effective if provided in pockets and corners by fragmented, individual agencies. But then, despite newer ITS technologies/solutions entering India, tremendous confusion exists among the decision makers, enforcement agencies and even the concessionaires as to what exactly is ITS. Prof P K Sikdar, President, Intercontinental Consultants and Technocrats Pvt Ltd, feels this happens because of lack of standardisation on ITS in India. ?ITS is entering India no doubt, but there is no standardisation which can be followed. That is because there is no standardisation body for ITS yet. In most cases, deployments are using technologies in a haphazard way, creating more confusion,? he says.